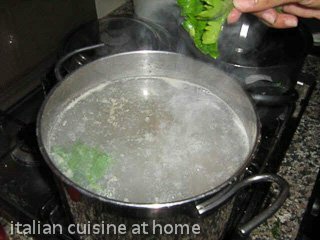 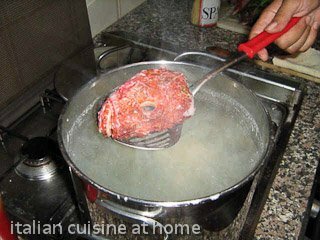 the fish stock is the basic recipe for many dishes. 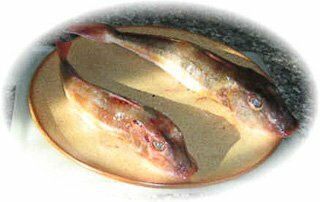 It is made usually with tasty fishes, but with many bones. 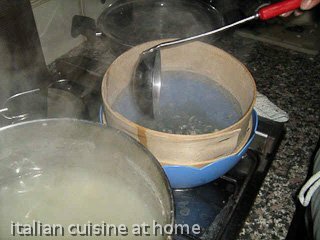 For this reason it is necessary to drain it very well. 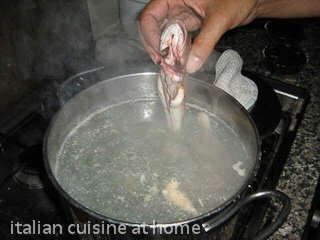 If you add some fish stock to the water used for boiling spaghetti they will be more tasty. 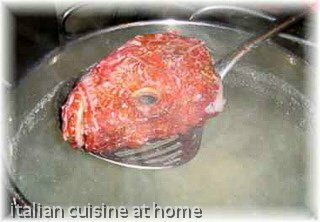 For some recipes like spaghetti with tub gurnard and spaghettti with scorpion fish, where you must boil these fishes before making a sauce , you can use the stock both for the sauce and for the water used for spaghetti.